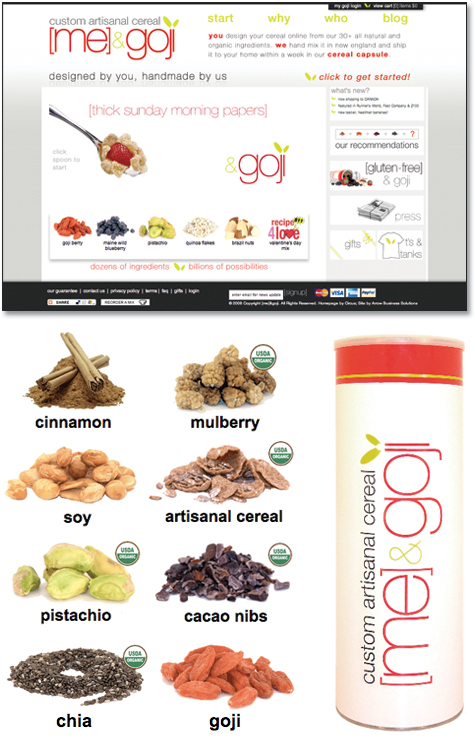 [me] & goji is a custom artisanal cereal comprised of all natural and organic ingredients. Started by three friends, they combined their passions for healthy food, unique products and good design into this wholly customizable cereal. I cannot yet speak for the tastiness of the cereal, but I do find the possibilities of eliminating added sugars and preservatives appealing!